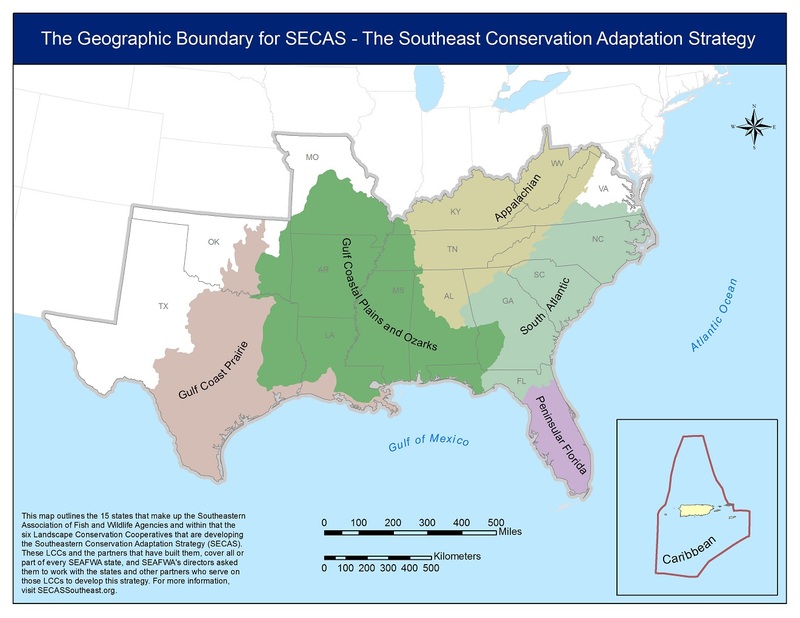 During the past several months, much emphasis has been focused on the Southeast Conservation Adaptation Strategy, referred to by its acronym, SECAS. This initiative is nothing new; in fact, it began in 2011 at the urging of the Southeastern state fish and wildlife agency directors (SEAFWA) and the principal members of the federal Southeast Natural Resources Leadership Group (SENRLG). 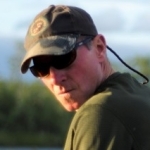 These visionary leaders understood that the scope and scale of challenges facing fish and wildlife conservation required a bold and new collaborative approach in order to define the conservation landscape of the future – and the newly-formed LCCs were just the right partnerships to help define and deliver that future landscape. Fast forward five years and the SECAS initiative is making great strides across the 15-state SEAFWA region. Collaborating with the Southeast Climate Science Center and the Southeast Aquatic Resources Partnership, a new SECAS website is operational (www.secassoutheast.org), which orients and educates visitors to the vision and approaches underway through this partnership. An interactive story map describes some of the projects and accomplishments already helping contribute to sustaining natural and cultural resources across the landscape. And an initial version of a SECAS Blueprint is being shaped that stitches together the conservation plans of the six southeast LCCs into a map of shared conservation and restoration priorities across the Southeast and Caribbean. Following up on a highly-successful SECAS symposium at the 2015 SEAFWA fall meeting, a SECAS Conservation Leadership Summit is planned for the 2016 SEAFWA meeting in Baton Rouge. The focus of this summit is on the SEAFWA Directors and SENRLG Principals, and to relate the SECAS vision and approaches to their initial charge from 2011. Through a facilitated, interactive discussion, Directors and Principals will be able to see firsthand how the LCCs and their extended partnership networks are working to define and achieve the conservation landscape of the future. Make plans now to attend the SECAS Summit on Oct. 17 at the SEAFWA conference in Baton Rouge.